The Tigers one-two punch of Sophie Hart and Paige Kindseth made Friday's performance look routine. 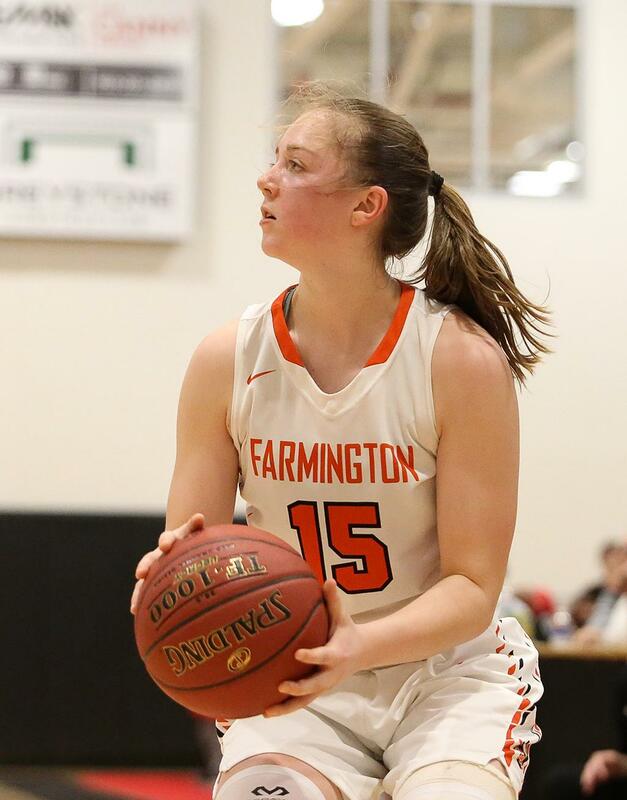 During Friday’s game, Farmington sophomore center Sophie Hart was constantly cutting through the middle of the paint and catching passes from her teammates. But there was one pass in particular that stood out. In the second half against Shakopee, Hart was running down the floor with sophomore guard Paige Kindseth. Dribbling into the paint, Kindseth delivered a behind-the-back pass that landed right in the hands of Hart. The 6-foot-4 post quickly grabbed the ball and scored a layup with ease while the Tiger fans roared with excitement. So far this season, it’s been all smiles and cheers for Farmington and its sophomore standouts. The Tigers kept their perfect record alive on Friday in dominant fashion as they rolled past Shakopee 68-46 at Shakopee High School. Hart and Kindseth were a small part of the story for the Tigers, ranked No. 4 in Class 4A by Minnesota Basketball News. 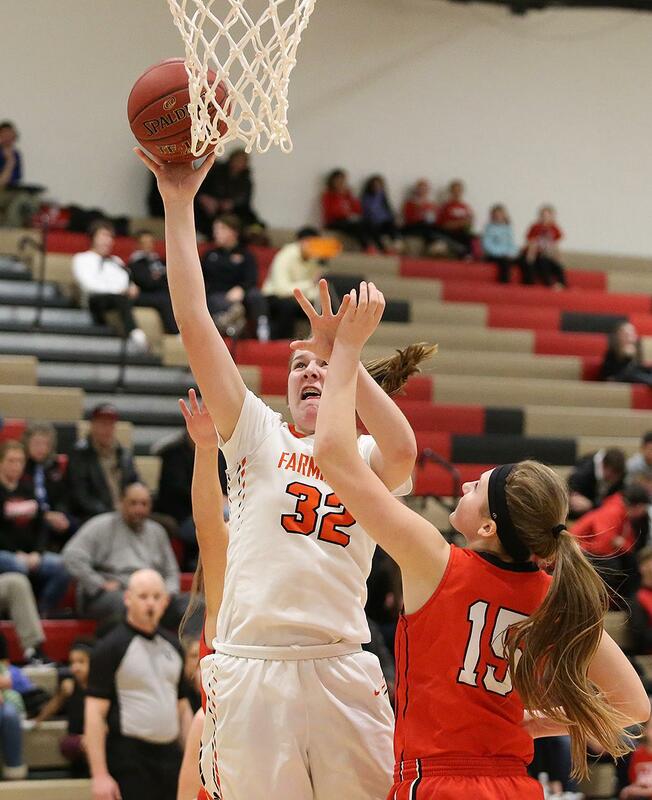 Five players helped Farmington (12-0, 6-0) jump out to a 14-3 advantage early, forcing Shakopee (9-3, 4-2) to use two timeouts in the first six minutes of the contest. But as the game wore on, Hart’s star shined. 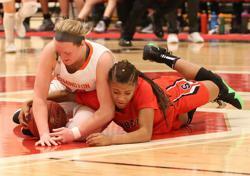 She played a significant role with fellow center Kaitlin Winslow in foul trouble. Hart racked up a team-high 18 points in the win. Hart and Kindseth are part of a sophomore group that combined for 38 points Friday. They are progressing quickly as they play their second year at the varsity level. But their success isn’t a surprise to Farmington coach Liz Carpentier, who watched this group play in the Farmington travel league. While the sophomore class has been impressive this season, the junior group has also been significant to success. Junior guard Molly Mogenson racked up 10 points in the second half to go along with 13 rebounds. Friday’s victory was just one of many Farmington wins this season that have come by wide margins. The Tigers have only played in one game where they won by less than 10 points — a 53-46 win Dec. 18 against Apple Valley. Friday’s 22-point win was the closest game Farmington has played in since the calendar turned to 2019. So far, the Tigers have yet to play any team currently ranked in the top 10 in Class 4A. But that will change in the coming week when Farmington faces No. 5-4A Eastview. So far, the opponent hasn’t mattered much to the Tigers as they have conquered every challenge in their way. 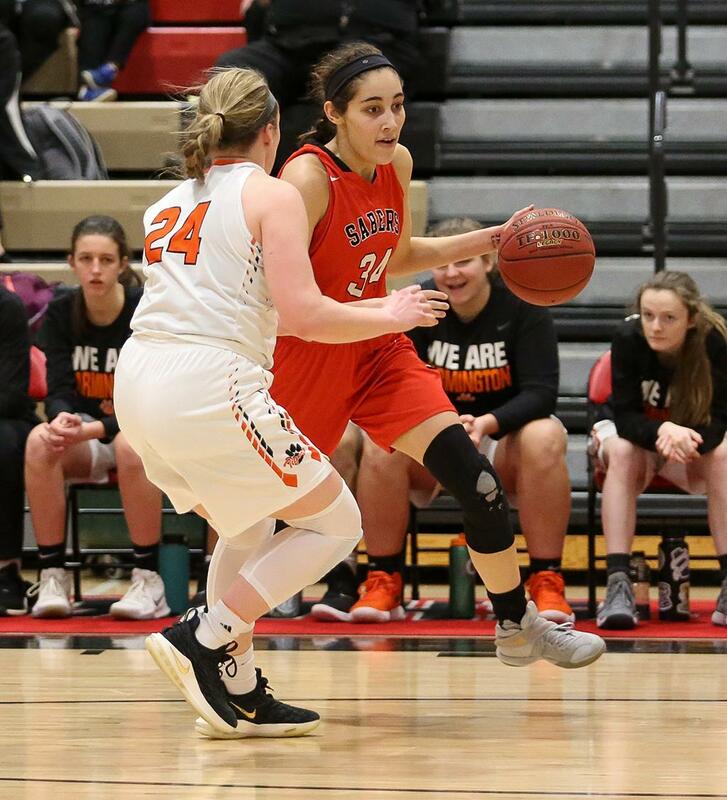 Farmington remained undefeated Friday, winning its 12th consecutive game by defeating South Suburban Conference foe Shakopee 68-46 at Shakopee High School. Junior guard Molly Mogenson had a double-double to help lead the way for the Tigers, ranked No. 4 in Class 4A by Minnesota Basketball News, as she tallied 10 points and 13 rebounds. In the post, Farmington (12-0, 6-0) had the advantage all evening. That had a lot to do with sophomore center Sophie Hart who finished with a team-best 18 points in while also pulling down eight rebounds. Two other Tigers also had double digits in the win. Sophomore guards Peyton Blandin had 10 and Paige Kindseth had 12 points. The Sabers (9-3, 4-2) fell behind early and never recovered. Shakopee’s biggest offensive threat was senior forward Isabell West, whose 15 points led the way. Senior guard Jaley Coplin was the only other Saber in double figures with 10 points.